Baie Lazare, Seychelles, February 2018 – February is widely recognised as being the month of love, and this month Kempinski Seychelles Resort Baie Lazare has received recognition for the love it’s been showing the planet. It was announced earlier this week that the Baie Lazare hotel was the winner of the Luxury Travel Guide’s Luxury Eco-Friendly Hotel Award for Seychelles. The Luxury Travel Guide Awards recognise and celebrate excellence across all sectors of the affluent travel and tourism industry. Their team of experts have scoured the globe and travelled extensively in order to identify the very best hotels, airlines, tour operators and reputable service companies to affluent travellers from around the world. 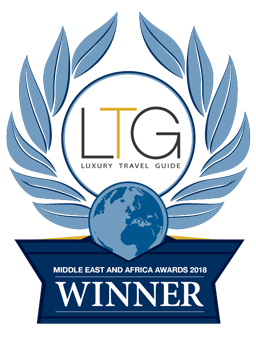 All winners of the Luxury Travel Guide Awards are subject to the same rigorous assessment criteria, applied by the publication’s in-house professionals. This ensures only the most deserving firms and individuals walk away with one of these prestigious accolades and gain a place in the awards winners’ guide. This award is the latest in a string of recognitions for the hotel’s efforts to mainstream sustainable business practices into its day-to-day operations. Last year the hotel was awarded its third consecutive Seychelles Sustainable Tourism Label and achieved Bronze Benchmark status through EarthCheck, the world’s leading environmental management and professional services group for the travel and tourism industry. The Luxury Travel Guide is an exclusive resource for the affluent traveller. The publication aims to be the leading provider of travel and lifestyle-related news, reviews and features to the global business community. The Luxury Travel Guide provides readers with an objective look over holiday destinations, hotels, spas, entertainment, technology and much more. They regularly consider the best of the best of what is available to today's corporate professional who enjoys the monthly Luxury Travel.